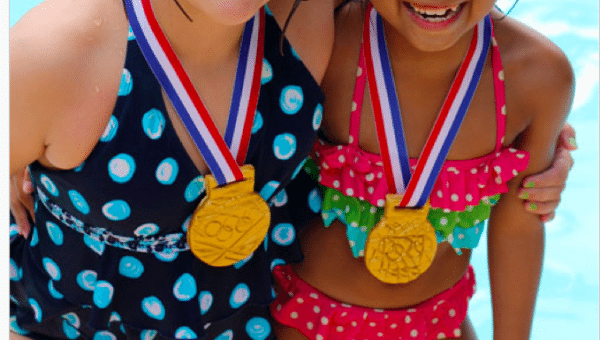 Make your own homemade gold medals to celebrate the upcoming Olympics and your own special gold medalists! 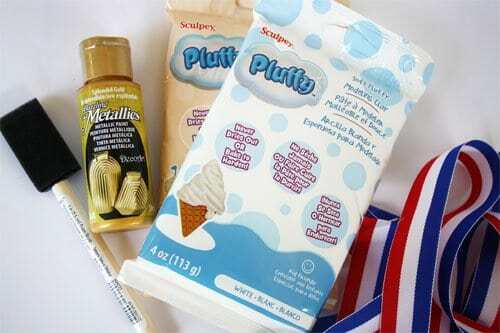 I love Pluffy from Sculpey. It is nice soft workable clay that doesn’t harden until you bake it. 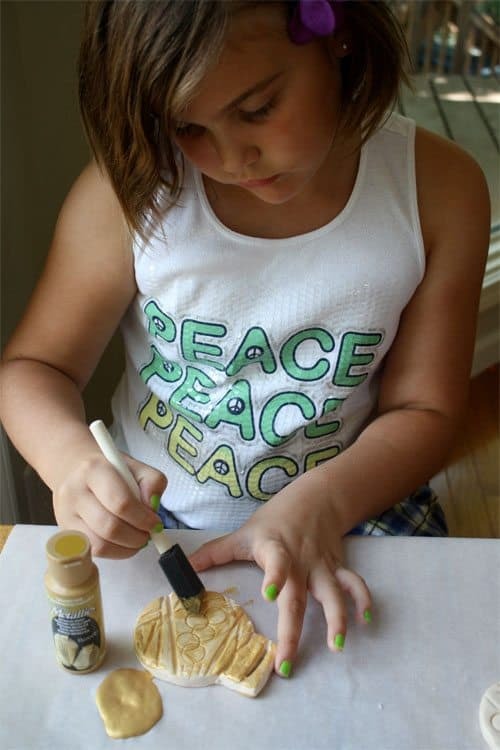 Another fabulous product is metallic paint from DecoArt (which is non-toxic and water-based). It really makes your objects look like metal. So grab some Pluffy (one package will make about three medals), Metallics Paint, a brush and ribbon and you are ready to get started. All supplies can be found at Michael’s Arts & Crafts! We used found objects to cut and press into the clay. A drinking glass made the perfect circle. 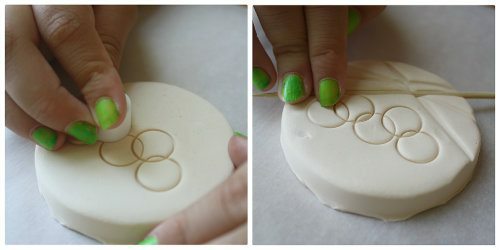 The cap to a lip balm made perfect rings and a skewer made nice lines. Be sure to use this opportunity to talk about the gold medals. They were designed by a British Artist, David Watkins. 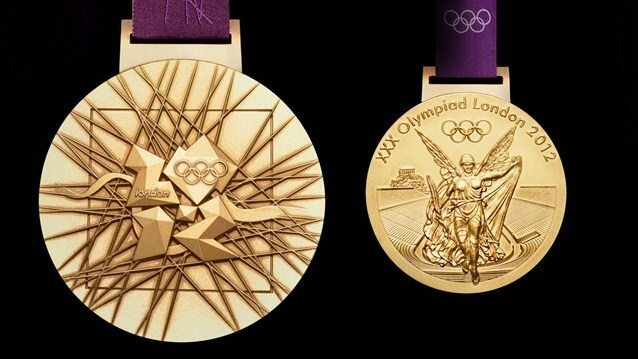 “The Olympic medals’ circular form is a metaphor for the world. 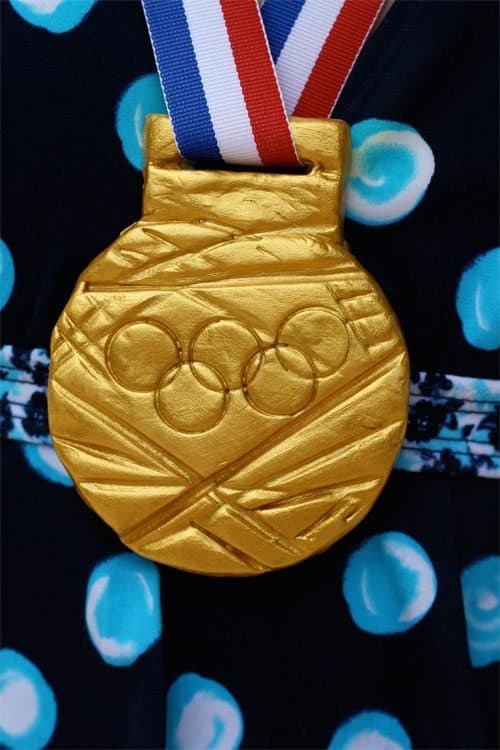 The front of the medal always depicts the same imagery at the Summer Games – the Greek Goddess of Victory, Nike, stepping out of the depiction of the Parthenon to arrive in the Host City. The design for the reverse features five symbolic element. The curved background implies a bowl similar to the design of an amphitheater. The core emblem is an architectural expression, a metaphor for the modern city, and is deliberately jewel-like. The grid suggests both a pulling together and a sense of outreach – an image of radiating energy that represents the athletes’ efforts. The River Thames in the background is a symbol for London and also suggests a fluttering baroque ribbon, adding a sense of celebration. Paint the medal. It will take about three coats for total coverage. 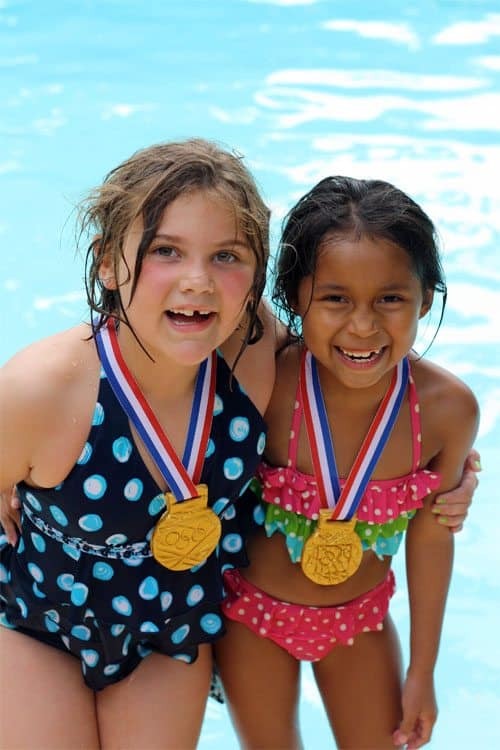 Presenting my gold medal swimmers! 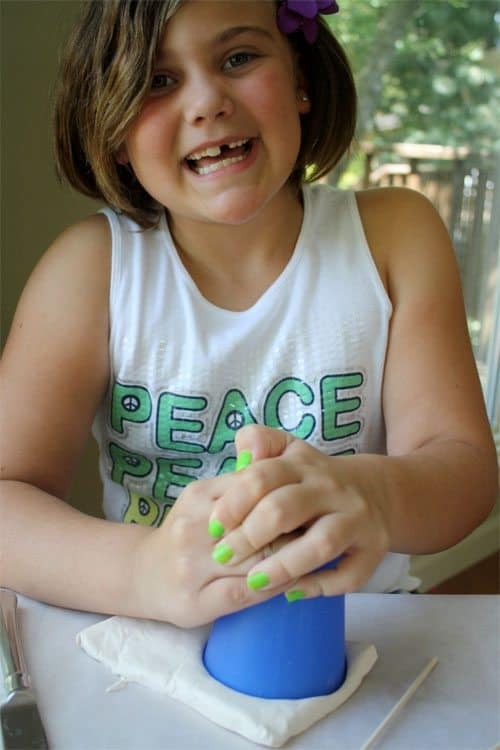 If you are interested in other fun crafts to do with your kids don’t miss Cindy’s summer craft camp. Such a great idea! Love this …. and those are the cutest Olypians I have ever seen! These are awesome. I made 800 Medlas from Bottle Caps in June for a Mock Olympics at the kids school. I will share this with the PTA for next year ! Maybe we could get the ASB to make them ? great idea to make with the kids and perhaps “reward” them these weeks! Oh, this is so clever! My son just had an Olympic-themed birthday party and I made the medals by pasting a print-out over gold coins. This is cuter and more fun to make, I am sure!!! Thank you so much for this wonderful post. 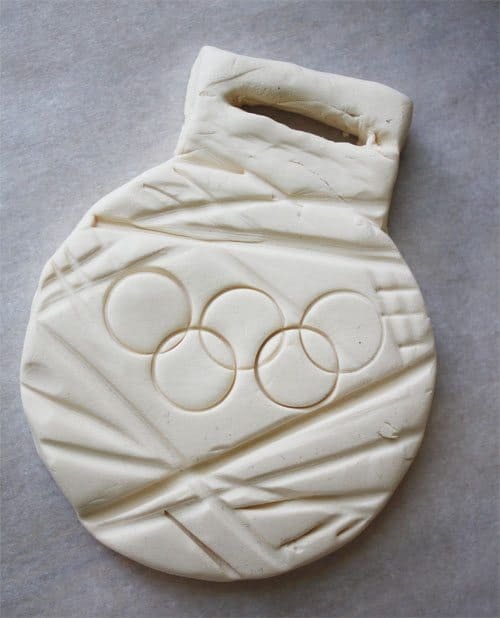 My son has Olympic fever and we are now planning an Olympic theme for his birthday party in a few weeks. These will be perfect for the loot bags. This is a fantastic idea, I hope you don’t mind, but we are going to get the kids making them and presenting them for our sunken trampoline event next week!